Matson, Inc. (MATX): Are Hedge Funds Right About This Stock? 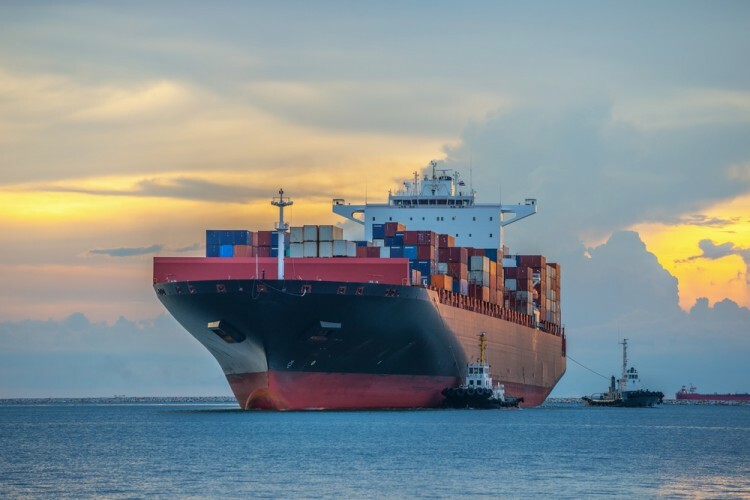 Is Matson, Inc. (NYSE:MATX) going to take off soon? The best stock pickers are getting less optimistic. The number of bullish hedge fund positions that are disclosed in regulatory 13F filings slashed by 1 in recent months. MATX was in 15 hedge funds’ portfolios at the end of September. 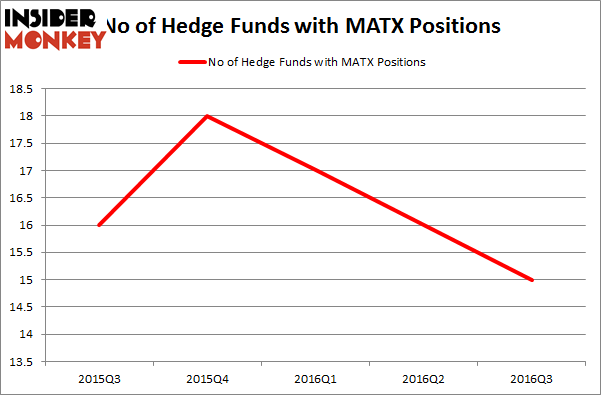 There were 16 hedge funds in our database with MATX holdings at the end of the previous quarter. At the end of this article we will also compare MATX to other stocks including NxStage Medical, Inc. (NASDAQ:NXTM), Crestwood Equity Partners LP (NYSE:CEQP), and Rexford Industrial Realty Inc (NYSE:REXR) to get a better sense of its popularity. What does the smart money think about Matson, Inc. (NYSE:MATX)? Heading into the fourth quarter of 2016, a total of 15 of the hedge funds tracked by Insider Monkey held long positions in this stock, a fall of 6% from the previous quarter. On the other hand, there were a total of 18 hedge funds with a bullish position in MATX at the beginning of this year. With the smart money’s capital changing hands, there exists an “upper tier” of key hedge fund managers who were boosting their stakes substantially (or already accumulated large positions). According to Insider Monkey’s hedge fund database, Hawk Ridge Management, led by David Brown, holds the biggest position in Matson, Inc. (NYSE:MATX). Hawk Ridge Management has a $7.1 million position in the stock, comprising 3.8% of its 13F portfolio. Sitting at the No. 2 spot is Joel Greenblatt of Gotham Asset Management, with a $2.6 million position. Remaining professional money managers with similar optimism encompass Cliff Asness’ AQR Capital Management, John Overdeck and David Siegel’s Two Sigma Advisors and Richard Driehaus’ Driehaus Capital. We should note that none of these hedge funds are among our list of the 100 best performing hedge funds which is based on the performance of their 13F long positions in non-microcap stocks. Hedge Funds Are Selling Concordia International Corp (CXRX) Is Bottomline Technologies (EPAY) A Good Stock To Buy? Is Tobira Therapeutics Inc (TBRA) A Good Stock To Buy? Is Cohu, Inc. (COHU) A Good Stock To Buy Right Now? Is 2U Inc (TWOU) A Good Stock To Buy? Is Cryolife Inc (CRY) A Good Stock To Buy?